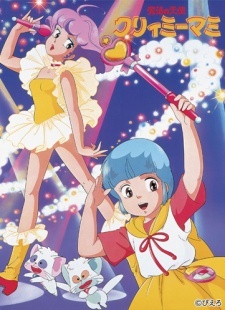 Creamy Mami is about a young girl, Yuu, who after seeing a spaceship is given the power to use magic for one year. She is also given 2 cats, Poji and Nega, to watch over and guide her. Using her magic powers to transform into the idol Creamy Mami, Yuu must work hard at acting, singing, helping her parents at their crepe shop, fighting aliens and bad guys, going to school, plus try to get the affections of her childhood friend Toshio. Watch Magical Angel Creamy Mami Episodes Online at Animegg.org. Magical Angel Creamy Mami is available in High Definition only through Animegg.org. Choose an episode below and start watching Magical Angel Creamy Mami in Subbed & Dubbed HD now.